ALL THE INFO BELOW WAS TAKEN FROM BANYEN BOTANICALS.COM, AN EXCELLENT SOURCE FOR AYURVEDA PRODUCTS AND INFO. If we consider the Ayurvedic principle that opposites balance, vata season (which is cool, light, dry, windy, and unpredictable) will be less aggravating if you fill it with warmth, oiliness, deep nourishment, loving relationships, and a sense of stability, routine, and groundedness. In addition, you may find it helpful to familiarize yourself with signs and symptoms of vata imbalance so that you are better prepared to address those immediately, if they do arise. The following recommendations are appropriate for most people, but if you know your constitution or your current state of balance, you can tailor your seasonal routine appropriately. 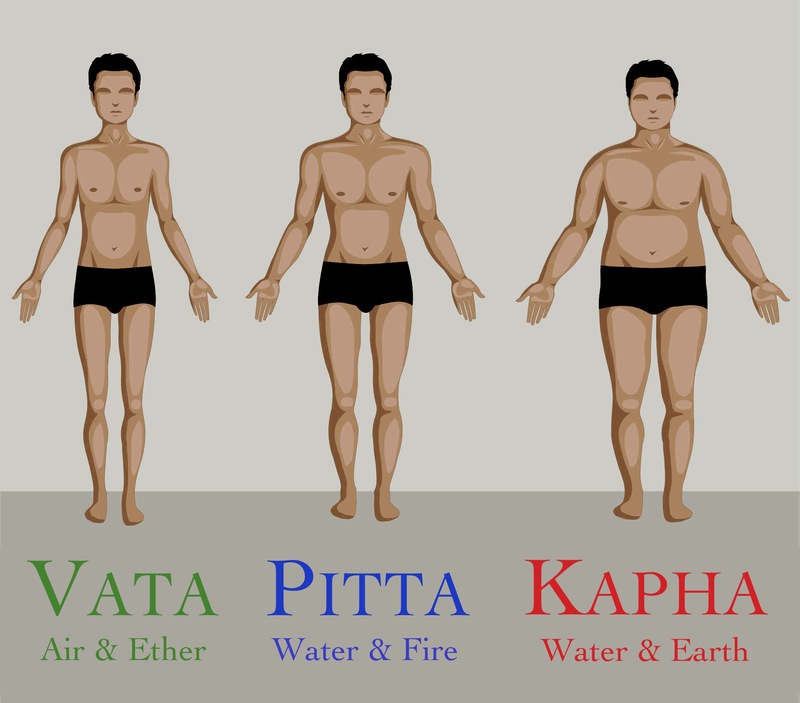 Below the general recommendations that follow, you will find links to more dosha-specific considerations. Incorporating a sense of warmth, grounding, stability, and focus into your yoga practice has a profoundly calming effect on vata and can work wonders during vata season. Your breath should be deep and fluid. If you practice pranayama (yogic breathing exercises), alternate nostril breathing is very balancing this time of year. In your asana practice, favor vata-pacifying yoga. Warm up slowly and include some joint rotations. Move with intention and fluidity—grounding the hands and the feet on the mat whenever possible—and avoid jumping between postures. Gentle flows like a relaxed sun salutation are perfect for vata. You can also favor standing and balancing poses such as mountain, warrior I, warrior II, and tree pose to increase stability and strength. Connect with the earth beneath you in poses such as thunderbolt, cat-cow, cobra, and child’s pose, and quiet the mind with forward bends such as intense westward stretch. Gentle inversions and restorative poses such as legs up the wall are also very good for vata. Close your practice with a long corpse pose, covering yourself with a blanket so that you don’t get chilled. In general, you’ll want to focus on eating warm, cooked, slightly oily, well-spiced foods, favoring a balance of the sweet, sour, salty, pungent, bitter, and astringent tastes. Drink room temperature, warm, or hot beverages and avoid iced or chilled drinks, if possible. You can increase heat and circulation while encouraging clean and clear respiratory passages by drinking a tea boiled for five minutes with ½ teaspoon each of dried ginger, cinnamon, and clove. Teas made with combinations of ginger, cinnamon, and black pepper or coriander seeds, cumin seeds, and fennel seedsencourage strong digestion and can be taken after meals. Hearty, heating vegetables like radishes, cooked spinach, onions, carrots, and other root vegetables are generally well received this time of year, as are hot spices like garlic, ginger, black pepper, cayenne, and chili peppers. Cooked grains like oatmeal, cornmeal, barley, tapioca, rice, or kitchari make a terrific breakfast, and lunches and dinners of steamed vegetables, whole wheat breads, and mushy soups are ideal.1 Legumes are generally good for kapha, but they should be well-cooked, well-spiced, and garnished with a dollop of ghee so as not to aggravate vata. If you eat them, winter is also a great time to enjoy eggs (especially poached or hard-boiled) and meats like chicken, turkey, rabbit, and venison. In the evenings—either before or after dinner—you can treat yourself to a few ounces of dry, red wine.2 And while dairy is best reduced in the winter months, a cup of hot, spiced milk with a pinch of turmeric or dried ginger and nutmeg before bed can help to encourage sound sleep and should not be overly congesting. It is best to reduce or avoid cold, damp foods, excessively sweet foods, overly heavy or oily foods, and frozen foods. You may also find that your body responds well to an occasional one-day water or juice fast. In fact, if you are prone to kapha imbalances like colds, coughs, and sinus congestion, the junction between fall and winter is a great time to do a cleanse. An invigorating and expansive yoga practice this winter can be surprisingly supportive of your overall wellbeing. Appropriate poses include Sun Salutation (Surya Namaskar), Warrior I(Virabhadrasana I), Warrior II (Virabhadrasana II), Reverse Warrior (Viparita Virabhadrasana), as well as forward bends, and backward bends. Postures that stimulate metabolism like Cobra(Bhujangasana), Bow (Dhanurasana), Side Plank (Vasisthasana), Spinal Rolls, Leg Lifts, and supine twists like Revolved Abdomen Variation (Jathara Parivartanasana Variation) are also very appropriate. For instructions on these and a number of other supportive winter poses, click here. You can adapt your pace on a daily basis to coincide with your local climate and your internal needs. If vata is predominant in the atmosphere or if you feel stressed and depleted, move at a slow and gentle pace. If kapha is a stronger influence or if you feel unmotivated and lethargic, move at a faster pace, allowing your breath to quicken and your inner heat to intensify. Either way, practice with purpose and invite precision into your poses. Have an expansive heart and hold your poses long enough to feel challenged. If you’re trying to balance vata, close your practice with a long Corpse (Savasana) pose. Or, if kapha is high, consider Corpse with Support (Savasana Variation). If you practice pranayama, Kapalabhati (Skull Shining Breath), Bhastrika (Bellows Breath), and Surya Bhedana (Solar Breath) will bring a sense of lightness to the mind and are all wonderful for increasing heat, circulation, and the digestive capacity. Full Yogic Breath and Nadi Shodhana (Alternate Nostril Breathing) are especially balancing in cases of high vata or stress. Winter’s accumulated snow and ice are beginning to melt. Gentle rains soak the land. The earth itself seems heavy with moisture—saturated with it—and the landscape is becoming a wellspring of life. 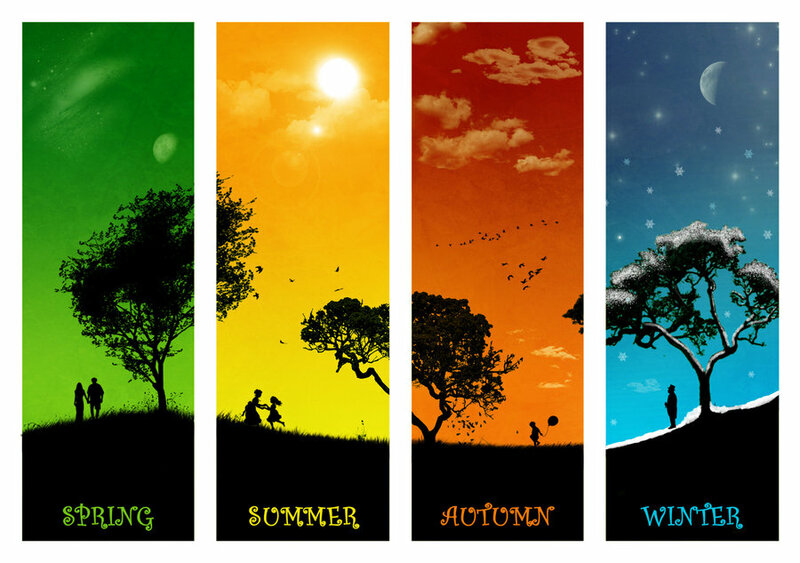 Spring is a season of birth, new beginnings, renewal, and growth—a time for the earth to make manifest the latent potential within all things. Seeds are germinating, flowers budding, insects buzzing, leaves unfurling. And despite our growing separation from the natural world, we are deeply affected by this gentle stirring around us. Our physiology senses a natural opportunity for a fresh, clean start; our bodies are primed to lighten things up, cleanse ourselves of any accumulated imbalances, and rejuvenate our deepest tissues. As the natural world emerges from its long winter slumber, it is common to experience a renewed sense of joy and inspiration. But for many, the spring season is also associated with colds, congestion, hay fever, and allergies. Thankfully, an appropriate seasonal routine can help us to overcome spring’s challenges while promoting optimal health so that we can truly celebrate the gifts this season has to offer. Because kapha is a predominant force in both winter and spring, there are many similarities between appropriate winter and spring yoga practices, with a few important distinctions. As in winter, many people will enjoy an expansive and stimulating spring yoga practice that is faster paced, heating, and guided by precision and muscular effort. In the spring, the emphasis on cleansing the lungs and warming the kidneys increases. Keep the chest open and the heart space expanded and, when you feel as though you’ve been in a pose long enough to feel challenged, take one more deep, steady breath before releasing the posture. Include asanas like sun salutation, warrior I, warrior II, reverse warrior, forward bends, chest openers, and backward bends as well as poses that stretch, compress, stimulate, and cleanse the solar plexus like cobra, bow, side plank, spinal rolls, leg lifts, and twists. For instructions on these and a number of other balancing spring asanas, click here. Spring is also a wonderful time to reap the benefits of pranayama. In fact, according to some teachers, pranayama alone can rid the body of impurities.3Kapalabhati and bhastrika will bring a sense of lightness to the mind and are both very cleansing practices—perfect for the spring season. Close your yoga practice with a shorter shavasana and consider placing a bolster under your chest for increased benefit. The following recommendations for pitta are appropriate for most people during the summer. Your primary focus through the summer months will be to keep pitta balanced by staying cool, mellowing intensity with relaxation, and grounding your energy. It may also be helpful to learn to recognize early signs of pitta imbalance so that you can take steps to address those quickly, if they arise. But summer has some distinctly vata characteristics as well, so you’ll also want to stay hydrated, foster stability, and balance vata’s natural expansiveness and mobility with quiet, restful activities. During the summer, our bodies naturally crave light foods and small meals that are easy to digest because the digestive fire—a strong source of internal heat—disperses in order to help keep us cool.1 Being fully present with your meals while savoring the flavor and texture of your food will help minimize the risk of overeating. Summer is a time to favor the sweet, bitter, and astringent tastes and to relish in cool, liquid, even slightly oily foods.2 This is the best time of year to enjoy fresh fruits and salads. It is also a great time to indulge in sweet dairy products such as milk, butter, ghee, cottage cheese, fresh homemade yogurt, and even ice cream on occasion.3 All unrefined sweeteners except honey and molasses are cooling and can be enjoyed in moderation during the summer months. In the way of beverages to beat the heat, enjoy cool or room temperature water infused with mint or lime and a little raw sugar, a sweet lassi, cooling herbal teas such as peppermint, licorice, fennel or rose, or an occasional beer. Iced drinks are best avoided; they disturb the digestive fire and create toxins in the body. Go easy on sour or unripe fruits, aged cheeses, and heating vegetables and spices such as carrots, beets, radishes, onions, garlic, ginger, and mustard seeds. Try to avoid extremely spicy foods like chilies or cayenne pepper altogether. Also keep in mind that raw vegetables (as in salads) will be better digested if they are eaten at lunch, rather than at dinner. Summertime is bursting with vibrant energy and most people find it easier to rise early in the morning at this time of year. This is a natural and beneficial rhythm to embrace. Early morning is also the best time for exercise. Before you bathe, massage the skin with a light coating of a pitta soothing oil, like coconut or sunflower oil, to calm the nervous system and cool the body.2Essential oils of jasmine and khus are good fragrances for the summer or you may enjoy a rose water spritz to calm, cool, and refresh your mind. Dressing in light, breathable clothing made of cotton or silk and favoring cooling colors like whites, grays, blues, purples, and greens will help you counter the intensity and heat. Summer is ideal for spending time in nature, but when you do go outside, wear a wide-brimmed hat and sunglasses to shelter yourself from the intense sun. On especially hot days, there is often an afternoon lull in energy and you may find that a short nap is beneficial. In the evening before bed, wash and dry the feet and massage them with a light coating of brahmi oil to ground your energy and draw the heat down. It is best to retire by 10 p.m. or 11 p.m. to avoid an overly stimulated mind,1 and lying on your right side will activate the lunar pathway in the left nostril, which is calming and cooling. Also be aware that sexual activity, in excess, can provoke pitta and deplete energy, so cultivate moderation in this aspect of your life during the summer months. Summer can motivate improved physical fitness and it is generally a great season to be active, provided you exercise at appropriate times and at an appropriate intensity. Exercise is very heating and, at this time of year, is best avoided during the heat of the day, especially from 10 a.m.–2 p.m. Instead, try exercising early in the morning, when the atmosphere is crisp and cool. It’s also important not to push too hard. Ideally, exercise at about 50–70% of your capacity, breathing through your nose the entire time, if you can. Follow your workout with a drop of rose oil to the third eye, throat, and navel to help the body cool down. Since the solar plexus tends to hold heat, favor asanas that massage, strengthen, and wring out the abdominal region such as cat/cow, cobra, boat, side openers, and twists. Cooling, self-referencing poses such as child’s pose and forward bends are also very beneficial during the pitta season, as are gentle flows such as moon salutation. Always close your practice with a few minutes in shavasana to ground your energy and integrate the benefits of practicing yoga. For instructions on any of these poses and more information on yoga most suitable to pitta season.